In today’s entertainment industry content is where all the money is. Sponsors, brands, corporate and consumers every one wants to be seen. And all the buck is spent in making them look good. This content displayed on the giant LED walls or projectors may not really look that great because the projector was not fine enough or the led wall had noticeable damage and the operator failed to acknowledge your complaint. 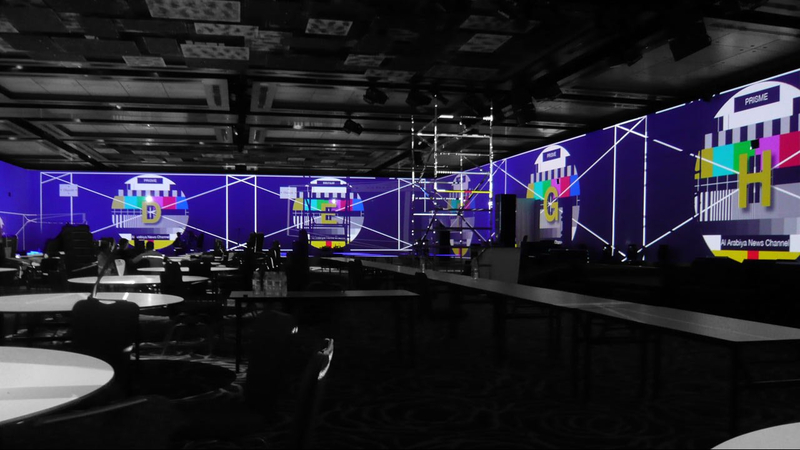 Modern day event sets have LED Walls rigged in unbelievable fashion to make content and graphics the third dimension of your event experience. But an unskilled crew will fail to give you the finish. We spend most of our time and energy to train engineering and animation graduates to deliver a technical marvel with their knowledge and skill to deliver an unimaginable visual experience. It is possible for them to do difficult rigs with all the safety training given to them. If you have a second show that you cant take due to less manpower, then hire us. The A Visuals Team will execute the show with your inventory. Put your extra in inventory to use. Visuals Crew for Technical AV Production for Events and Other Occasions. The 5 Member Crew Consists of Graphics Designer/Operator, Power Technician, Signal Technician And Riggers.